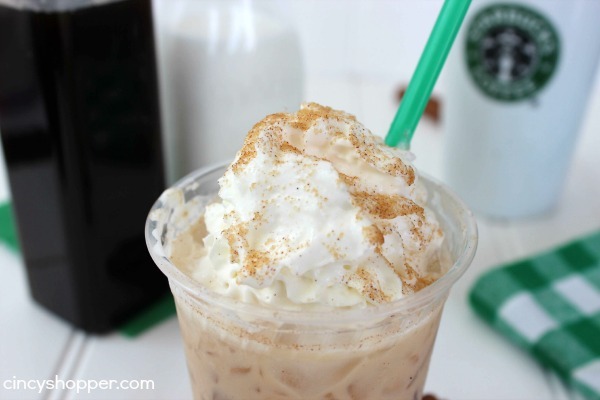 You are about to enter heaven when you whip up this CopyCat Starbucks Iced Cinnamon Dolce Latte Recipe. Oh My! Oh my! Is all that can be said. You probably know by now my obsession with Coffee and with Starbucks if you have read my blog at all. I was sure to let you know again yesterday when I shared my Vietnamese Coffee Popsicles Recipe. 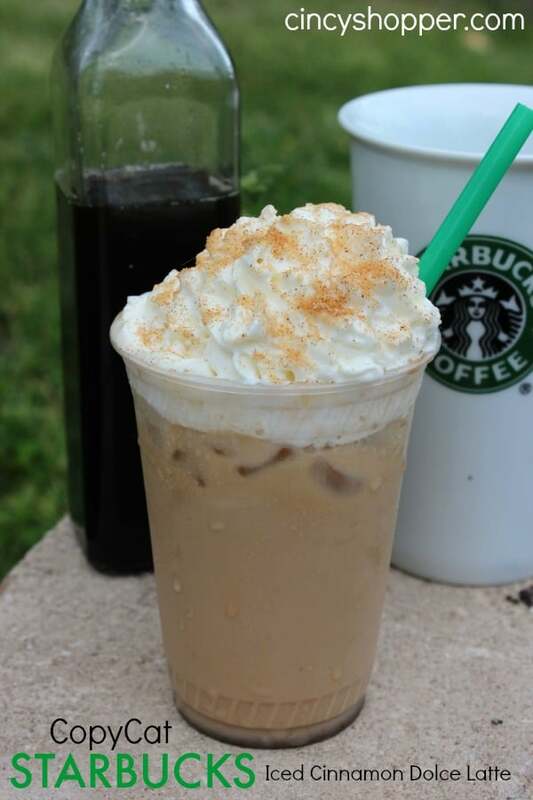 Having Copycat Starbucks Recipes to fall back on when my weekly budget is hurting, saves me from my Starbucks withdrawal (yes, it has happened, just ask the hubby). My CopyCat Starbucks Strawberry Frapp, the CopyCat Passion Tea Lemonade Recipe and my CopyCat Starbucks Caramel Frap have been a hit in our house. My daughter and I have been enjoying Starbucks at home almost daily. 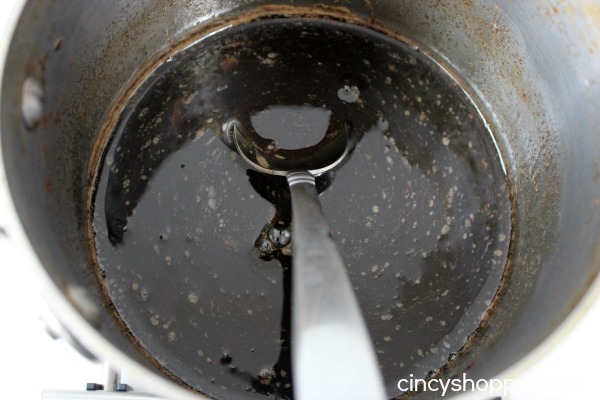 This Recipe includes the instructions on how to make Starbucks Cinnamon Dolce Syrup, my all time favorite syrup at Starbucks. 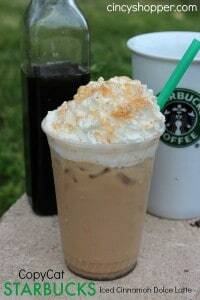 I will be able to make tons of different Starbucks Drinks just with the Syrup Recipe. 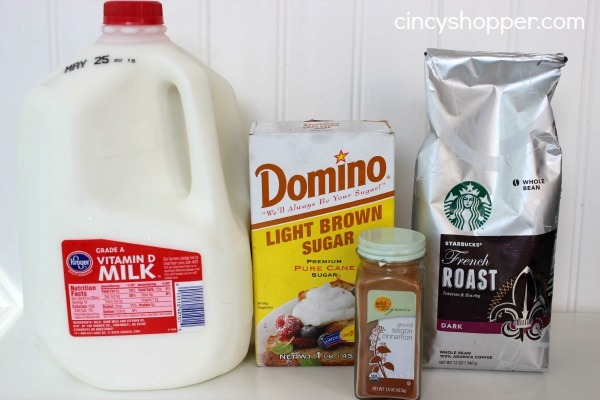 Making this CopyCat Starbucks Iced Cinnamon Dolce Latte Recipe requires just a few ingredients and a few minutes time. 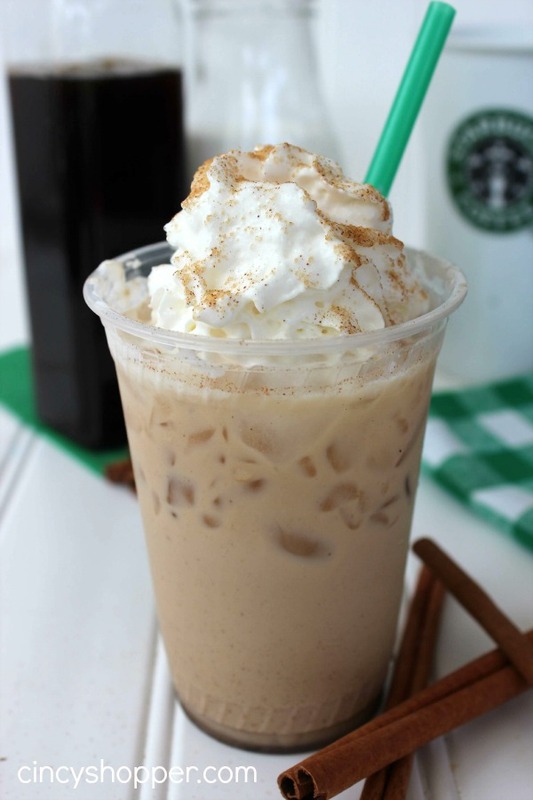 Making this CopyCat Starbucks Iced Cinnamon Dolce Latte Recipe at home is going to save you many trips to Starbucks this summer. 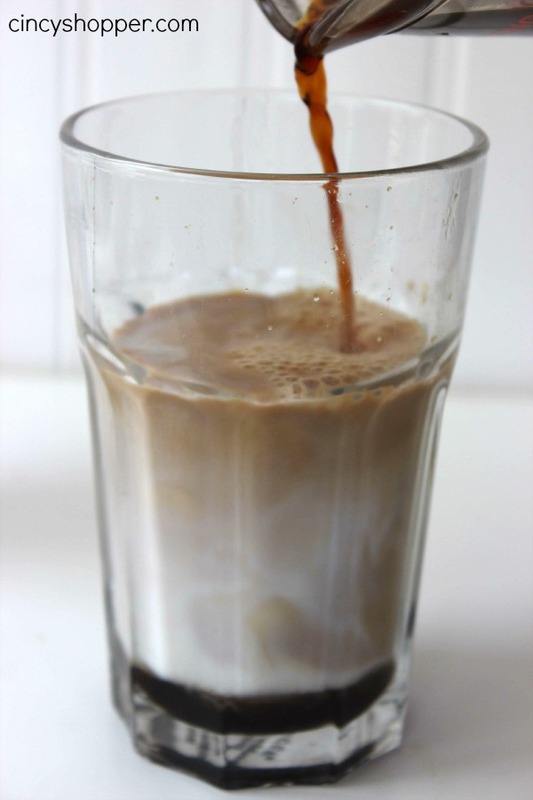 There is nothing better than a great Iced Cofffee (IMO), ha ha! The thought of making it at home and banking the savings make it that much better. Looking for other refreshing drinks to enjoy at home this summer? If so check out my CopyCat Starbucks Strawberry Frapp, CopyCat Orange Julius Recipe, CopyCat Wendy’s Frosty Recipe, CopyCat Starbucks Passion Tea Lemonade Recipe, CopyCat Starbucks Caramel Frappuccino Recipe, CopyCat Sonic Cherry Limeade Recipe, CopyCat Red Robin Freckled Lemonade Recipe , CopyCat Applebee’s Lemonade with Kiwi and also our CopyCat Chick-fil-A Lemonade Recipe. Thanks so much! I’m gonna try this first thing tomorrow. Sounds delicious. I would make one adjustment though: the ice makes the coffee watery, so I would make little coffee ice cubes and add those. Wow…this looks so amazing! pinned. found at kitchen fun with my 3 sons linky. Have a great week. Hi. I made this recipe- it was good. I didn’t find that it tasted identical to the Starbucks version. It was a fun treat, thank you.